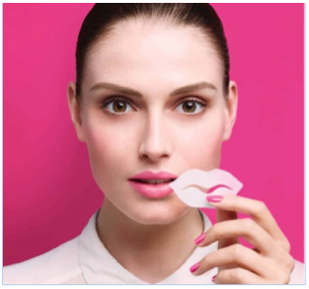 Beauty is constantly being reinvented at the Sephora Girl’s Lab for all real ladies from real life! This summer, we’ve decided to get the perfect tan and perfect skin with must-have products and incredible textures. 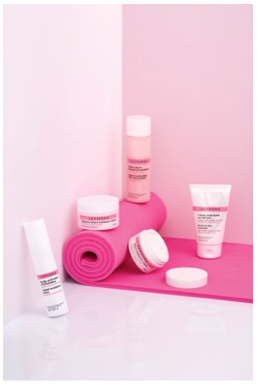 Get your daily moisture fix with a range of body, face and lip moisturizers with Made In Sephora this season. 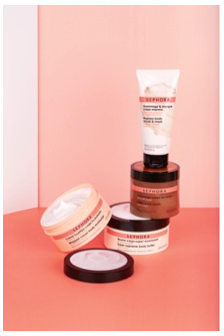 Because skin that is properly hydrated is the guarantee of a noticeably more beautiful complexion, Made inSephora skincare works to continuously provide it with the moisture it needs. The secret weapon of the eye moisturizer, instant moisture+ cream, intensive instant moisture+ cream and instant moisture+ lotion (or basically, the secret weapon of all our key products): hyaluronic acid, which acts like a sponge to harness and retain water. After receiving a boost and much-needed coaching, the skin once again learns to produce more of its own beneficial hyaluronic acid, thus revealing a smoother, softer and brighter complexion as time goes by. In short, more moisture = more beauty! Of course we love the lightweight texture of this cream which features a booster complex of hyaluronic acid, but we love it also (and most of all) for its ability to leave the skin smoother, more radiant and more hydrated with continued use. Enriched with a hyaluronic acid booster and nourishing ceramides, this rich cream will delight all skin suffering from dehydration! And (this is really clever! ), it helps the skin produce more hyaluronic acid to continually hydrate it for up to three days after the last use(1). This two-in-one product, a lotion/serum hybrid, is applied under a moisturizer to infuse it with hydrating power, brighten the complexion and refine the skin’s texture. Smooth and non-greasy, this amazing do-it-all cream may be used as a cream or a mask: it deeply moisturizes the skin of the face, nourishes that of the body, and soothes that of the hands…and can even be used on the tips of hair to enhance their beauty! It really does do it all.. OK, so it won’t make us coffee, but still! Contained within a cleverly-designed metallic retro-style tin, this colored lip balm repairs and nourishes lips while giving them a transparent, glossy sheen. An essential for any purse! When color and care join forces, the result is this pleasant surprise: a moisturizing CC cream that delivers a natural healthy glow and is infused with color-adapting pigments to leave the complexion more even-looking, reduce the look of imperfections, mask redness and make pores less visible. And, even better, it refines the skin texture with continued use. Fluid and ultra-lightweight, this lotion infuses the skin with hyaluronic acid, and, thanks to its silk powder-enriched formula, eliminates excess sebum and its associated shine. Should we ever find ourselves craving soft, plump, moisturized and well-nourished lips, we’re reaching for this highly practical lip balm that may be generously applied as often as needed. Effective and multitasking, the addictive products from the body care range, which combine pleasure, effectiveness, sensuality and generosity, are sure to make us melt: from a super supreme body butter to a whipped cream body moisturizer, sugar cane body scrub and express body scrub & mask, we have our pick of decadent delights to indulge in freely! With a two-in-one formula for ladies who want to de-clutter their bathrooms, this dual purpose scrub/mask (which features a delicate powdery fragrance) is massaged into damp skin to eliminate dead skin cells. It can also be applied as a mask to dry skin: in one minute, the skin is purified and impurities are eliminated. The perfect way to achieve that “new skin” feel! Indulge freely in this generous sugar scrub that glides onto the skin and eliminates dead skin cells without any risk of extra poundage. We just love its gourmand fragrance and formula concentrated in raw sugar and apricot oil. Because waking up in the morning can be rough sometimes, Sephora has created this generous-sized shower gel with a formula that is as uplifting as an aerobics class: it is formulated with Goji berry extracts (powerful energy boosters) and features an intensely invigorating fragrance. An ultra-generous-sized pump bottle and a formula that contains 50% moisturizing cream? Now that’s what we’re talking about! This shampoo is the ultimate fix for days between hair washings: it absorbs excess sebum from the scalp like blotting paper for the hair. We guarantee that you will love EVE-RY-THING about this all-in-one oil: it is formulated with baobab and jojoba oils as well as vitamin E to nourish, protect, enhance and delicately scent the hair, face and body. A fluid, lightweight texture enriched with shea butter, a more-than-generous size, the ability to get dressed immediately after application and soft, supple and soothed skin as a result? We’re left speechless every time! With its non-greasy formula enriched with shea butter (a nourishing champion), this smooth body butter treats thirsty skin to a much-needed hydrating break. For a muy caliente summer, we suggest this luxurious cream with a whipped texture that leaves the skin satiny smooth. It also delicately scents it with a summery fragrance combining a marine accord with apple, watermelon and melon. An incredible cream just for hands that nourishes their delicate, lipid-depleted skin and provides them with continuous moisture. It can also be used in a more targeted manner to treat dry, damaged areas. Its secret: shea butter. With its refreshing, ultra-sensual texture, its caffeine-concentrated formula, a powerful ability to sculpt the silhouette, its jumbo-sized jar, as well as its dual firming and moisturizing action, this cream spares no expense when it comes to comforting and toning the skin. May she who has never been deserted by her deodorant at the worst hour of the day then cast the first wipe! Convenient, super compact and ultra-discreet, this mini deodorant spray formulated with lemon essential oils really knows how to refresh in a subtle way. STARSKIN® takes Hollywood-worthy skin to the next level with its latest edition of innovative Bio-Cellulose Second Skin Face Masks, available at Sephora Middle East this March. The new VIP Luxury range stars a skin revitalizing mask, The Gold Mask™ and a skin-illuminating mask, The Diamond Mask™, to offer beauty consumers the ultimate star treatment at home. 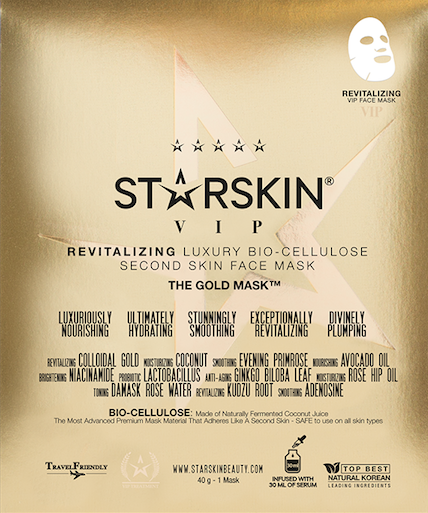 “Our latest VIP Luxury Gold and Diamond Masks take the STARSKIN experience to a higher level of glamour by adding nano-gold, diamond dust and other precious stones to our ultra skin-brightening and nourishing formulations to leave your skin velvety smooth, plumper and with a movie-star quality glow. Each of our masks contains 30ml of serum to help recharge the skin and deliver the best possible results,” said STARSKIN co-founder Nicole Arnoldussen. Gold Mask™ will leave your skin replenished, rehydrated and visiblyplumper with an opulent, star-like glow. Wrap your skin in pure luxury with The Diamond Mask™, a luxurious treatment that smoothens and refines dull, lackluster skin. Formulated from naturally fermented coconut water, STARSKIN®’s premium Bio-Cellulose sheet mask is soaked in a rich, creamy serum infused with precious gemstone extracts and the finest botanicals. A base of deeply nourishing Evening Primrose extract leaves skin soft and velvety smooth while magically refining, ultra-fine diamond dust illuminates your complexion from within. -energize the skin; antioxidant-rich White Mulberry Bark perfects your skin tone. In just 15-20 minutes The Diamond Mask™ will leave skin bright, flawless and crystal-clear with a luminous, star-like glow. Diamonds really are your skin’s best friends! 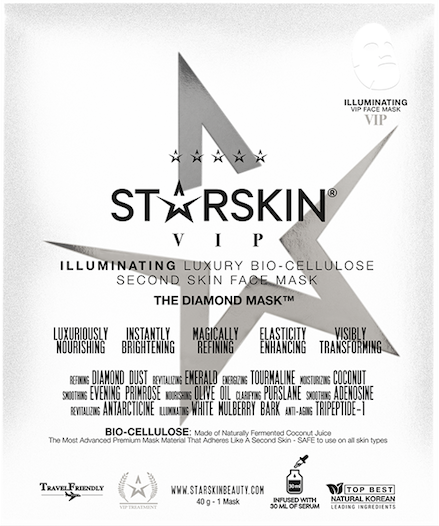 STARSKIN®’s VIP range of Gold & Diamond masks are exclusively available at Sephora Middle East (73.50AED). 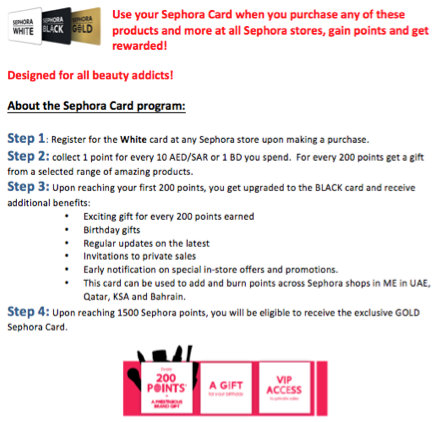 Available now exclusively at all Sephora shops in UAE only. A flawless, stunningly perfect complexion. A healthy, radiant glow, as if lit from within. Every woman has wondered what the beauty secrets are behind the effortlessly glamorous movie stars that glide down the red carpet. With the launch of STARSKIN®, Hollywood’s best-kept beauty secrets are now revealed. STARSKIN® was created from the expertise of celebrity dermatologists and aestheticians, and sourced from Korea, the origin of some of the world’s most advanced skincare technologies. Amongst their innovative collection, STARSKIN®’s star products are in its range of Bio-Cellulose sheet masks, a next-generation mask technology considered by experts to be the gold standard for treating skin. STARSKIN®’s Glowstar™ Foaming Peeling Perfection Puff and its Double-Layer Technology Hand and Foot Masks are also widely received for effectively delivering professional spa treatments and results to home users. For more information, please visit http://www.starskinbeauty.com. First beauty step? Pamper your weakened/assaulted/over-made up/still too exposed skin. 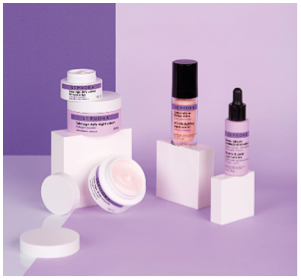 Taken from highly specialized Korean beauty rituals, the Made In Sephora inspiration releases novelty treatments: a Konjac sponge to clean and purify skin without irritating, three glove masks to take care of over-worked hands and two lip masks for the mouth and contours under close protection. Put gloves on hands that have been previously cleaned and dried. Remove the paper film from the tab, wrap around the wrist and then glue to secure the glove. Leave on for 15 minutes. After being allowed to set, make sure the excess is absorbed by light massaging movements if necessary. No need to rinse. Oh, your hands! Easy, fast and convenient to use, this pair of gloves enriched with Aloe Vera extract delivers its active ingredients for 15 minutes… Once done, skin is hydrated, cuticles are softened and hands are more beautiful than ever. Amen to that! For fragile hands – Nourishing and repairing, this mask relieves dry hands that have been weakened. No more pain! And its formula with natural avocado extract, nestled in a pair of soaked gloves allows -because it doesn’t run- to treat hands while still remaining on the move. This is truly well-designed. When the trend of masks from Asia sweeps the lips, it provides care for lips and their contouring in mobile formats that are practical and easy to apply! Remove the transparent protective sheet. Position the mask on the lips and let it stand for 15 minutes. Finally, remove the mask, and the excess is absorbed by light massaging motions. No need to rinse. Advanced mask- A new beauty step to adopt? The lip mask. This mask has rose extract and, once established, it helps soften and moisturize the ultra-sensitive area, which is too often forgotten. How often? 15 minutes, twice a week. Pass the sponge, please! The latest Made In Sephora recruit: this new purifying Konjac sponge is 100% natural and contains bamboo charcoal extract. Its mission? To clean pores and exfoliate the skin gently… without pulling, aggression or any sense of discomfort. Nothing can resist it, not dead skin cells, makeup or even excess sebum. 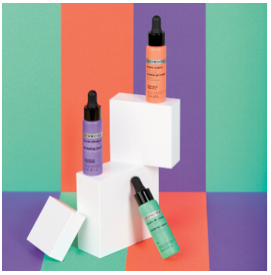 Smooth, matte, softened, skin -from combination to oily skin types- well thank you! 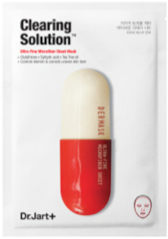 The global derma cosmetic brand, “Dr.Jart”, showcases a new professional mask line, “Dermask”, which immediately takes care of skin problems depending on their type. Dermask Micro Jet Brightening Solution was created with the concept of a laser treatment that provides immediate skin improvement. A specially designed microfiber sheet that acts like a laser, maximizes adhesion to skin, evenly and continuously delivers active ingredients to skin, and implements the best effect. In addition, the sheet gently clings to skin without irritation with tis silky feeling. With the ideal combination of 3 ingredients for brightening, including glutathione, a main component of white jade injections, niacinamide, a whitening functional ingredient, and a-Bisabolol, which brightens and clears skin tone, this product effectively improves dull skin. 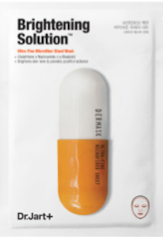 A safe prescription free of 10 harmful ingredients + completed dermatologist tests. Completed skin irritation tests, and can be safely used on sensitive skin. Consumers who are concerned about dull and dark skin. Consumers who want immediate improvement after using a mask. Open the pouch, remove the film, and place the mask on your face. Dermask Intra Jet Wrinkless Solution was created with the concept of an intragel treatment that provides immediate skin improvement. Specially designed ultra-adhesive hydrogel and ingredients prescribed for aging symptoms are ideally combined to immediately take care of saggy skin due to decreased elasticity. Cellulose is coated on the thermosensitive hydrogel to improve adhesion, prevent active ingredients from evaporating, and effectively deliver them to skin. In addition, the superior elasticity of cellulose coating on the surface of the gel gently tightens skin. With the combination of ingredients, including bio-peptides, coenzyme Q 10 and beta-glucan, which are excellent in elasticity improvement and anti-aging, the product intensively takes care of distressed areas with decreased elasticity, and immediately provides resilience. Open the pouch, and remove both the top and bottom films. Place the top sheet centering on your eyes, and the bottom sheet centering on your lips, in order to fit the side of the removed film on your skin. After about 20-40 minutes, remove the mask, and lightly pat to absorb the remaining essence. Dermask Micro Jet Clearing Solution was created with concept of a laser treatment that provides immediate skin improvement. A specially designed microfiber sheet that acts like a laser, maximizes adhesion to skin, evenly and continuously delivers active ingredients to skin, and implements the best effect. In addition, the sheet gently clings to skin without irritation with its silky feeling. With the ideal combination of ingredients, including glutathione, which is a main component of white jade injections, for brightening, aloe Vera for an excellent soothing effect on irritated skin, and phytoncide for superior moisturizing and soothing effects, this product effectively improves troubled skin. o Glutathione: is a peptide combined with amino acids, has excellent skin tone improvement, and creates bright and radiant skin from dull and fatigued skin. o Salicylic Acid: removes sebum and keratin in pores, prevents impurities from accumulating, and prevents troubles. o Tea Tree Oil: helps prevent and soothe skin troubles, and provides refreshing skin care. Consumers who are distressed about skin troubles. After about 10-20 minutes, remove the mask, and lightly pat to absorb the remaining essence. 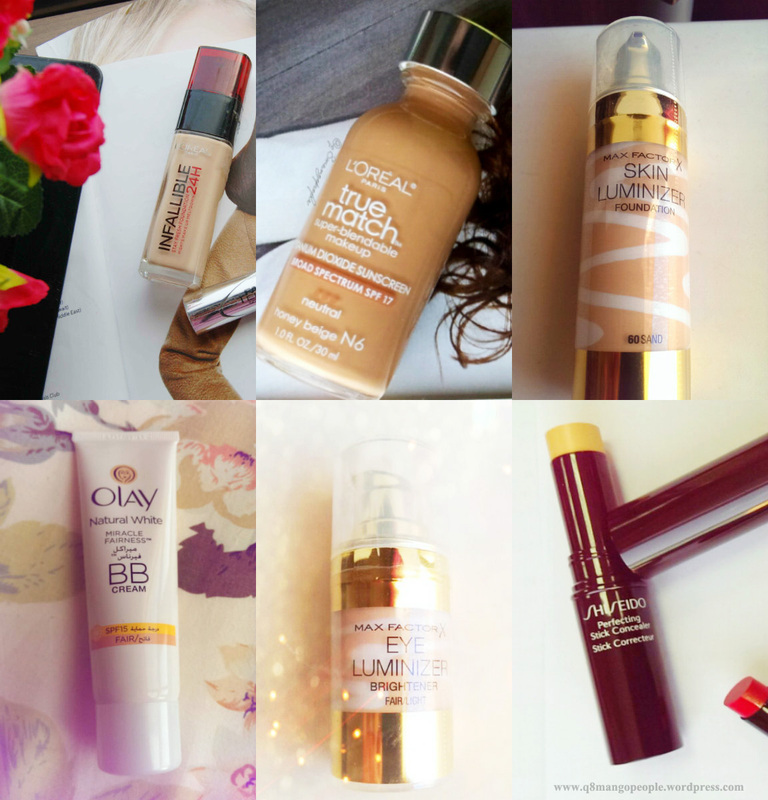 As I told I will be doing a Summer Lov’in 15 tag with sharing the products which I’m loving this summer everyday…so here we are this time its the foundations & concealers, some with sheer coverage, some matt and some luminous. Loreal Infallible 24 hr. Foundation in Golden Beige 140 : Ok starting with full coverage matte foundation…didn’t go for 24 hrs but it lasts quite well amount of time on me…best thing it doesn’t change color on me which usually happens ( I don’t know if its only me) but it happens many times. Truly long lasting thick foundation which will go for quite long as a pump covers my whole face… and also no worries of fading. Loreal True match Foundation in Honey beige N6 : As I was travelling and enjoying the pools, got a bit tanned so from Wallgreens picked this amazing foundation in bit darker shade…the consistency of this foundation is runny so be careful …a sheer coverage but buildable to full cover as you apply layers..not super matte but gives a nice dewy velevty finish. Best for vacations when you are in hurry to go out as it blends well fast and looks natural skin like. Maxfactor Skin Luminizer Foundation in Sand : A nice dewy luminizing finish with sheer coverage foundation, gives an illusion of good flawless skin. Best for the natural looking days where skin is the main attention…or just mix with the foundation and it gives so beautiful luminous looking skin. Olay Natural White BB cream in Fair with 15 : Summer is not complete without a good BB cream..right! So this moisturizes and coverage too …best for everyday use….put it on you are ready to go. Maxfactor Eye Luminizer Brightener in Fair light : this is very interesting … this is like a luminizing concealer which bring light to the under eye with sheer concealing…good for everyday when you don’t want to wear concealers but want to give some coverage to under eye to look fresh. Shiseido Perfecting Stick Concealer in Natural : this is my fav from past months as it conceals corrects the under eye, any blemishes or acne scars..very creamy with coverage and blends so well …just have to set with powder. Hope you enjoyed my post! Do you have any favourites this summer… share with me maybe I like to try too. I have a combination acne prone skin which breaks out very fast if anything doesn’t go well with me, so have to be very cautious in picking a daily skincare routine! I ‘m a lazy person cannot stick to things I mostly like to change or just skip in a while mostly just leave things in the middle but this time I have been good and using my daily skincare regularly to keep things a bit on point this summer 😉 And these was the things which I have been reaching for everyday as these are keeping my skin balanced. Neutrogena Visibly Clear Pore & Shine Face Wash : Starting with the face wash so I’m currently loving this pore & shine face wash, smells fresh, lathers good & balanced my skin oils…a good pickup for the morning. Clinique Acne Solutions Calrifying Lotion : The holy grail product for me a clarifying lotion ..a toner which I use after washing my face, helps keeping all the breakouts on the bay. Actually when I was travelling my skin was very unbalanced …excess of oil, white heads and few breakouts …was very annoyed and at Sephora I picked this as already I had tried this and it worked…my skin got balanced and the breakouts were calm. But I would like to tell that this is very strong , drys and stings a bit so try in store if you have a sensitive skin. Truth serum Collagen Booster 5 source bit C complex which brightens, supports healthy collagen & antioxidant protection….smells like oranges and can say a light serum absorbs well leaving a sheen on skin. I use this at night and I was amazed with it that in the morning I have bright looking skin from the first use. 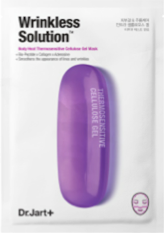 Invigorating Night Gel 12 source AHA complex gives smooth texture minimize pores & even outs skin tone…nice gel which hydrates. I use it after the serum and feel it gives the right hydration to my face which it needs. Sheer Transformation which hydrates & nourishes, diminishes dark spots and also gives protection against free radicals…and daytime moisturizer which I liked not heavy can be worn under makeup. I mostly use these at night except the sheer transformation which I use in day and I ‘m seeing results …don’t go on the size it was enough for me to last a month …thinking of getting full size. Ponds Flawless White ultra luminous serum : I like serums more than creams as they feel a bit heavy on my skin specially in summer. .one more serum I’m liking is this..helped me fade some breakout scars, absorbs well & feels light on skin.. took this with me also from here. Loreal Extraordinary Facial Oil :Yes this…talked about this so much on my insta page before too….just love it it’s looks like oil but absorbs like serum..moisturises & also locks the moisture in the skin ..a blend of precious oils like Rosemary ( antibacterial), Rose (tone improvement), Lavender & lavadin (promotes collage), Roman Chamomile (soothing), Germanium( soothing), Orange peel( collagen protection) and Marjoram( antibacterial)… I say it “good skin” in a bottle……smells so relaxing even my hubby got addicted to this . Best for fresh plumpy looking skin, mostly using it at night as its so relaxing or whenever I’m not going out. Neutrogena Ultra Sheer Dry Touch Sunscreen Spf 55: Again a Neutrogena product which is a repurchase too..yes its soooo amazing super matt no stickiness or white film on skin best everyday sunscreen….highly recommended! 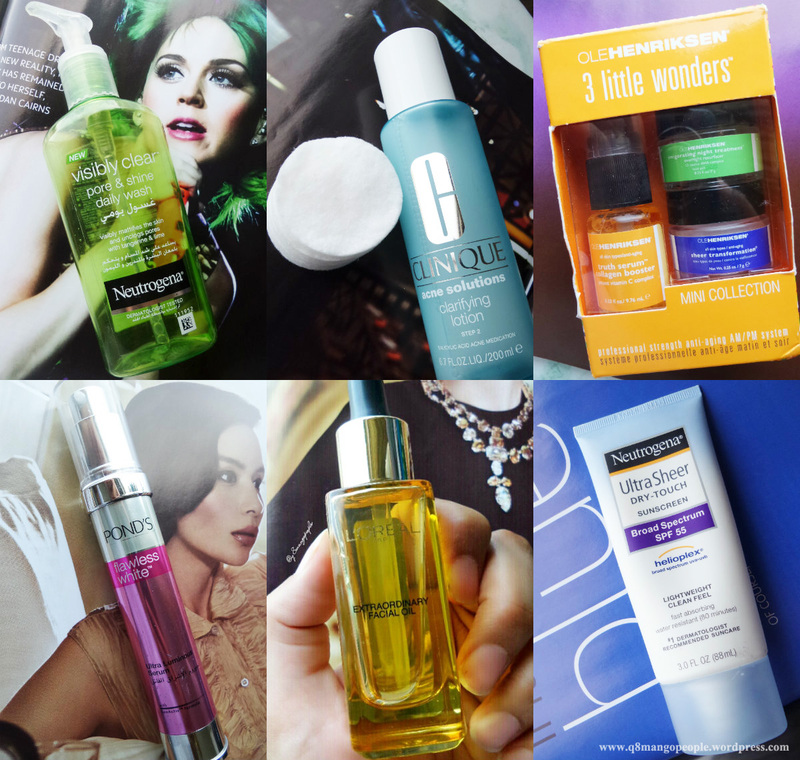 So these are the products I ‘m loving this summer… did you try any new product which you are loving do share yours too maybe I like to try!